Any event that calls for a celebration calls for face painting! 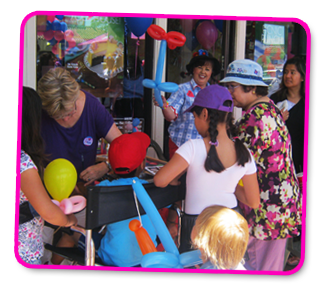 Birthday parties, company picnics, grad nights, corporate events, grand openings, family reunions, church functions, graduations, weddings, family picnics, sports events, baby showers, Mardi Gras celebrations, school events and carnivals, Halloween parties, harvest festivals, farmers markets, festivals, and quinceaneras. Minimum one hour of face painting or glitter tattoos with artist prices vary depending on the size of venue but can start as low as $100 per hour. Two-hour minimum may be required depending on location. ASK FOR QUOTE. Suitable for children's birthday parties, usually 15-25 guests. has played a significant role in the traditions of civilization, health, spirituality, and body adornment for over 5,000 years. I also provide henna designs for birthday parties, bar and bat mitzvahs, grad nights, girls night out; and also for super bowl parties, team parties, or sporting and league events. provides a special memory for mothers-to-be. Gestational Art or "Belly Painting" is a wonderful and unique way to capture this special moment in a mother-to-be's life. Done in the comfort of her own home, the soothing brush strokes are relaxing for both mommy and baby. Don't miss the opportunity to create a lasting memory of your pregnancy. are the hottest body art form in the world today. It is a fun way to entertain guests in parties and events. Even Hollywood celebrities love the sparkle on the red carpet! Glitter tattoos are waterproof, dermatologist tested and last up to 7 days. And the (non-latex) adhesive used is skin safe. This is a great alternate to face painting at pool parties. FaceTheDesign includes 60 miles round trip of travel within service area; beyond that, travel charges may apply. MINIMUM two hours for outside travel area. Ask for a quote. Please inquire by completing the contact information section here.